Ray Zukowski has been a Certified Hypnotherapist since 2001. I myself underwent a session with him recently where he took me into the Fifth Dimension where I time traveled 2, 5, and 8 years from now. He is an amazing man, and we will be talking about how Ray can bring people into other dimensions and time travel into the future (or past). Ray is an incredible fellow who can help people with spiritual and other issues. He is also a Hypnotherapy Instructor at Aldebaran Hypnotherapy Training Center teaching a full 220 hour Hypnotherapy Certification course. 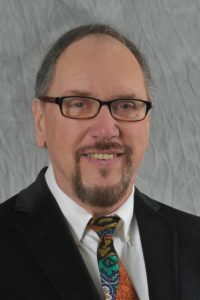 Ray is Certified in Neuro-Linguistic Programming, Pain Management, Tran-Scalar Healing, Spiritual Journeys, Parts Therapy and is a Speaker at National Conventions and Expo’s. He is also a member in good standing of the National Guild of Hypnotists and the International Mental and Dental Hypnotherapy Association. He is the Mentor Director of the IMDHA International and Award winning innovative IMDHA Tacoma Chapter President 2011. Ray is a producer of Educational Videos, Self Hypnosis and Self Help Programs at Aldebaran Hypnotherapy (aldebaranhypnotherapy.com). Ray assists people with habit control; Incredible-You Weight Loss With Hypnosis program, Stop Smoking Success, Spiritual Journeys,d Past Life Regression and offer wide array of other hypnotherapy services including Skype Hypnosis. Ray had served as Dean of Education at a 2 year Post secondary school and received instructor of the year awards two years in a row. He has been a Television Producer and even had his own television program called “The Mind’s Eye”. His presentation style is lively and informative and helps you utilize all your senses to maximize learning and retention.